Not again. 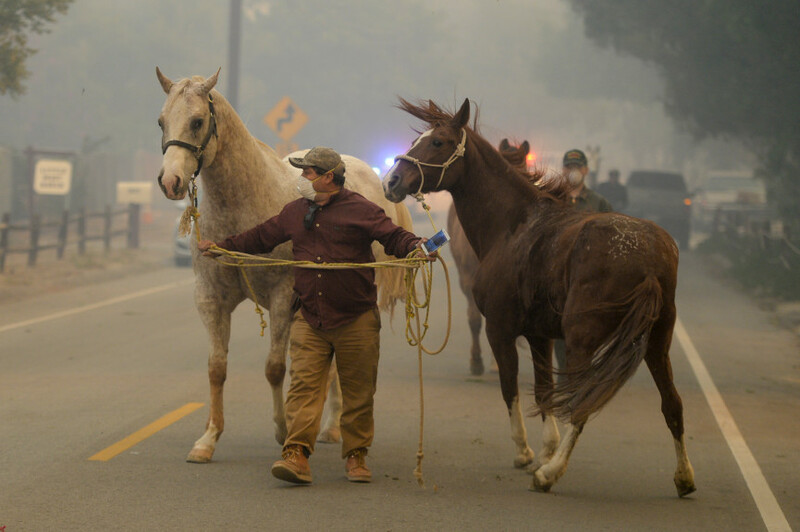 Wild fires are out of control, this time in Southern California and horse owners and rescuers are scrambling to get their horses out of the way of the raging fires in Southern California to safety. Sadly, first responders report that some horses have died in their stalls (which is why in the video above, they are being released to run free) and others are being treated for significant burns. Thank goodness for the heroes who are helping to move these horses out of danger. It’s terrifying. And some of the footage out there is very upsetting.